Happy 11:11!! 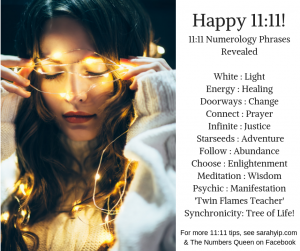 Powerful 11:11 Numerology Phrases Revealed…Did you know? All words, names, addresses etc. can be reduced to numbers (see link below). I’ve created a list of phrases that add to 11:11 for you today, as an awakening tool and thank you for your support – hope you love it! You see 11:11 when you’re at a spiritual turning point, so 11/11/18 is a huge portal for the world to choose love over fear!! So, WHITE : LIGHT is another way of writing 11:11. Btw, BLACK also adds to 11…so white and black are always equal in numerology – the Universe sees only love. 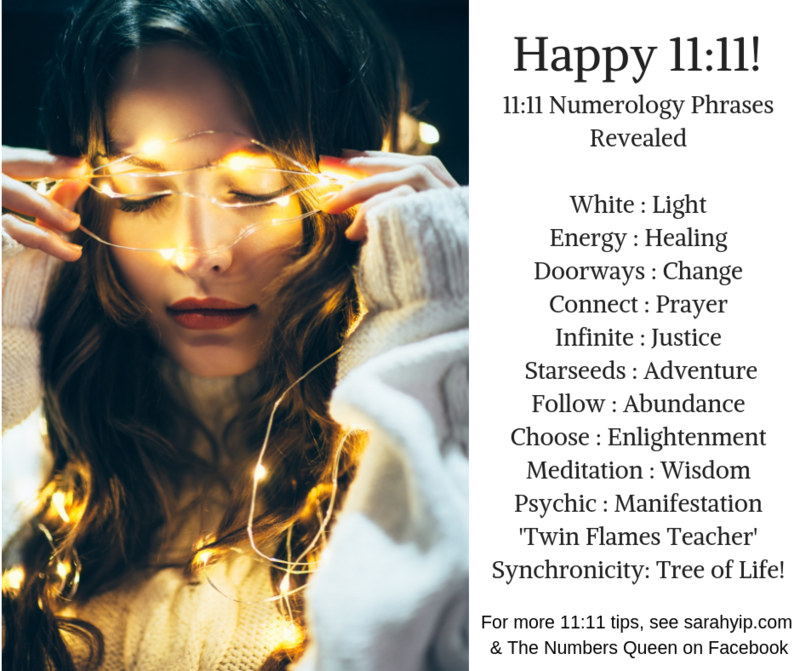 The one exception on this list is TWIN FLAMES TEACHER, which adds to 11 not 11:11. Wanted to include this as Kris and I are speaking on Twin Flames today and I feel it’s an increasingly important topic. TWIN FLAMES adds to 41/5, the same as YIN YANG, which makes sense as our Twin Flame is our polar opposite and the missing part of our Soul. Interestingly, SOULMATE adds to 25/7, the same as HEART and MORTAL – all humans have many Soulmates, it’s part of the deal when you come to Earth for your working holiday. Comforting to know, huh? -Buy my latest Angel Meditation MP3– it’s great for stress relief and for restoring your wings and confidence when life gets you down. I’ve been testing this process for years with clients and myself, and the results are phenomenal. -Join my Facebook pages The Numbers Queen and Lifepath 11. You’re welcome to post questions on the timelines, however I don’t offer free advice, only paid readings. -Write me feedback below. Comments will be published once they have been approved. Or, for greater clarity, book a reading with me to discover your soul contract and 2018 forecast. it’s worth the suspense – see feedback. 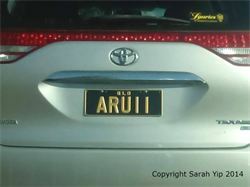 I also teach numerology and palmistry workshops in Brisbane. For a reading within 7-14 days, book a Tarot reading in Brisbane with my husband Kris on 0428 626 727. Read more about Kris. I also recommend Vicki Haspels and Caroline Byrd, my spiritual mentors and gifted mediums.